This was Jack’s first heavy haul load. He wasn’t actually part of the a heavy haul division yet but obviously it was a landmark load for him. You can see the partially melted snow and the dry road. We are almost to that point in the year right now, and you can probably believe that it is an exciting time for us Alaskans who have snow 8 or 9 months of the year! 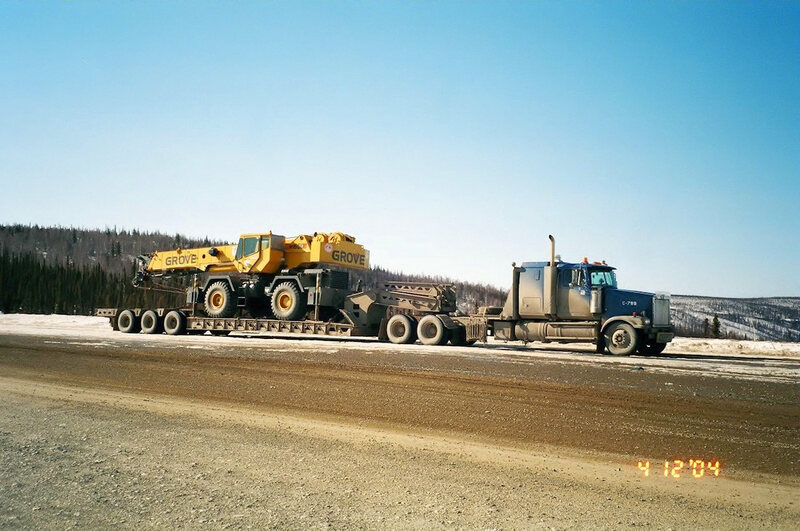 This entry was posted in Trucking and tagged alaska, break up, carlile transportation, dalton highway, drive, easter, highway, ice road truckers, jack jessee, road, snow, spring, tractor, trailer, transportation, travel, truck, trucker, trucking, vehicle. Thanks so much for finding my blogs. It led me back to yours. Going to enjoy reading your and Jack’s adventures.